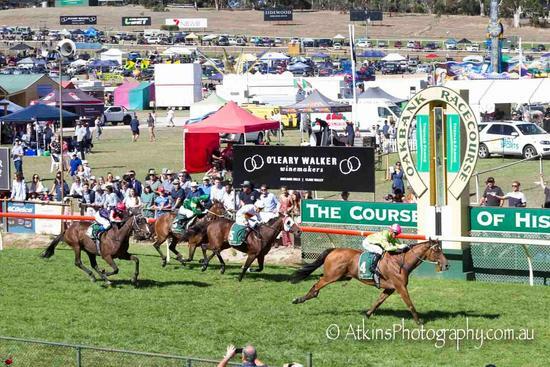 Cougar Express duly saluted in the Oakbank Cup on Easter Saturday. He won by 2.5 lengths on a Good 4 track over 2,150 metres. Apprentice rider Alfred Chan steered him to victory with a few anxious moments. It looks like Cougar will have a good jumps season ahead.